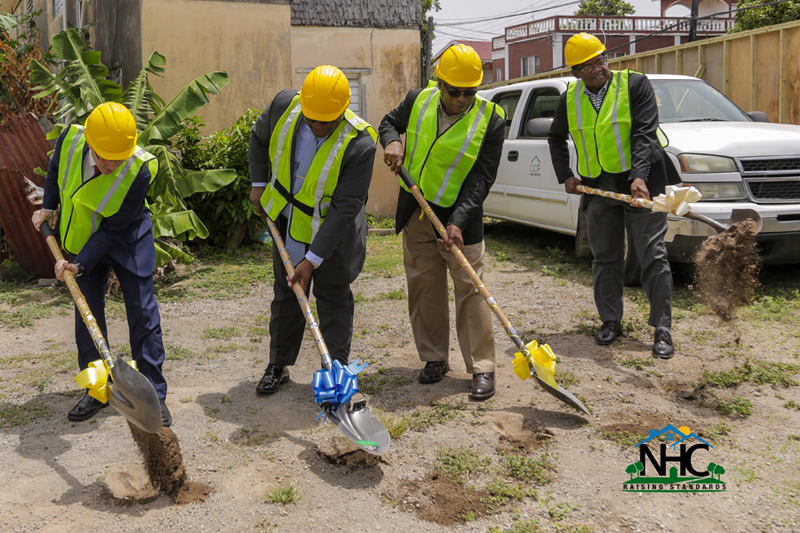 BASSETERRE, St. Kitts – Today (June 28), government officials, contractors and members of the National Housing Corporation turned the sod to officially signal the beginning of the construction phase of the new condominium style apartments in the Newtown area. The EC$ 4.3 Million project will see the government constructing 10 new buildings with six middle-income style homes on each – 60 in total – for residents of the Wellington Road and West Street junction. With the design phase already completed by Trevor Fraites and Associates, the government is currently in discussion with residents on alternatives until the works are completed. 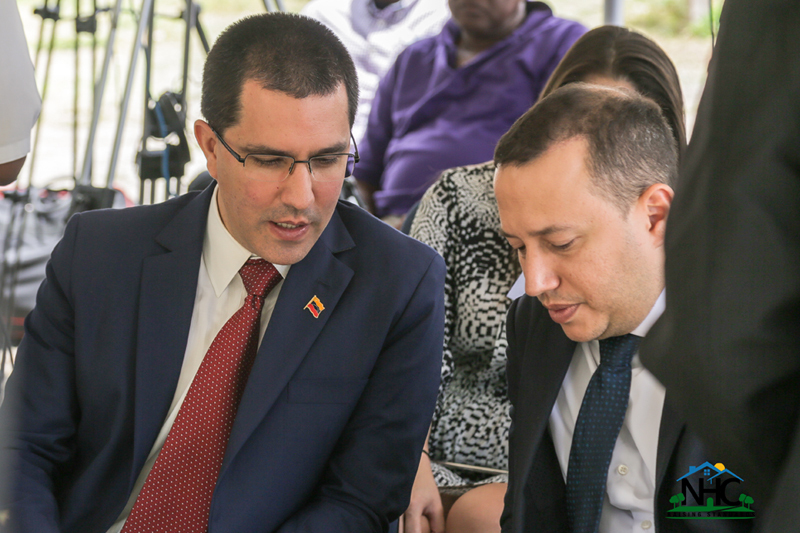 The project is being facilitated with the assistance of the Bolivarian Republic of Venezuela which has providing funding for construction. Minister of Public Infrastructure and Parliamentary Representative for Constituency One, Hon. Ian ‘Patches’ Liburd described the location as being a “slum”, reminding that some of the houses were constructed in the 1950’s. He said the only improvements made to the homes was done under a PAM administration. General Manager, NHC, Elreter Simpson-Browne told the gathering that her agency is fulfilling its mandate that speaks to adding and improving the housing stock in St. Kitts. She explained that it is evident with the recent allocation of homes in several constituencies around the island. Further, she emphasized that it is even evident in the 140 plus houses that have been constructed to date by the Corporation. Minister with Responsibility for Housing and Human Settlement, Hon. Eugene Hamilton assured people of St. Kitts and Nevis that the Team Unity Government is raising the standards when it comes to the quality of homes being provided. He reminded that hundreds of persons receive grant funds of up to $10,000. Prime Minister, Dr. Hon. Timothy Harris told the NHC Board of Directors that they are counting on them to have the project completed quickly, describing it as a major development. 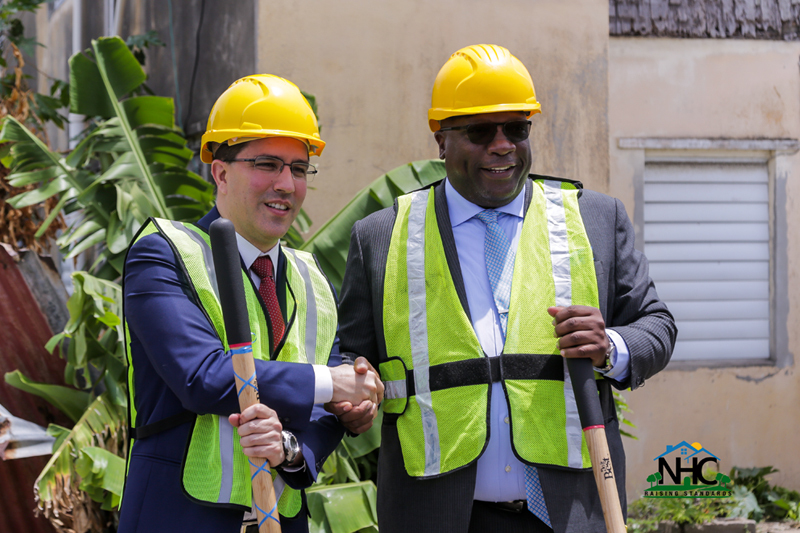 He noted that they are counting on the partnership between the Government of Venezuela and that of St. Kitts and Nevis, the National Housing Corporation and Construction Chardst Fasard to ensure that the project is completed for the benefit of the people of East Basseterre.